Dinosaur Bar-B-Que, the cultishly loved barbecue spot that started upstate but has a home in Harlem, is expanding all over the place. According to an email from the real estate and development firm BCD, Dinosaur is seeking spaces for new locations in Boston, Connecticut, North Jersey, and Brooklyn, Queens, Long Island, and Westchester. For each location, they're seeking 6,000 - 10,00 square feet of space within "buildings with character." 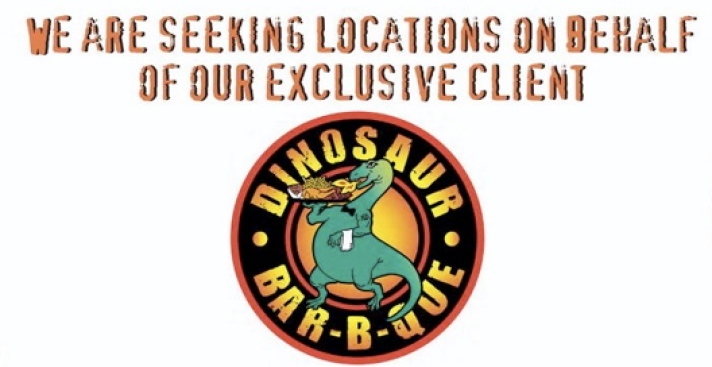 Here's hoping they find a space in Williamsburg to create a Dinosaur, Fatty Cue, Pies 'n' Thighs BBurg-Bar-B-Que District.